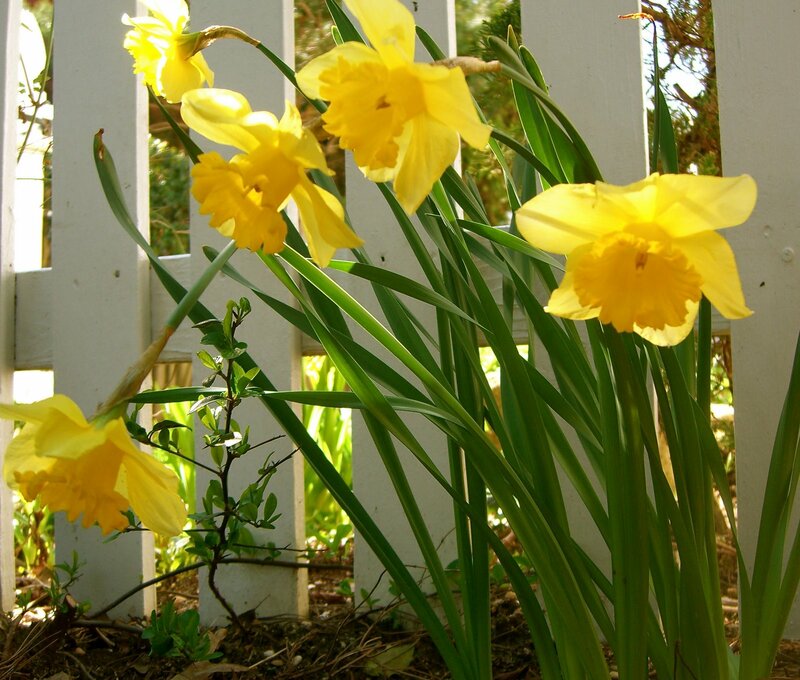 The golden-trumpet King Alfred daffodils are up in my garden and all around Rehoboth. There’s just something alluring about these hardy, showy daffodils, too heavy to stand fully erect and bobbing up and down in the spring breeze. I’m not the only one who thinks so. The King Alfred, introduced in 1899, is a favorite of American gardeners and a true herald of Spring. We like its size and its style. But what we think is a King Alfred might not be. King Alfred, I have just learned, has become a generic name for big yellow daffodils in general. Very few true King Alfreds exist today on the market. They’re mostly reserved for a small European commercial trade.